Their first set of conference podcasts in 2007 was a huge success. 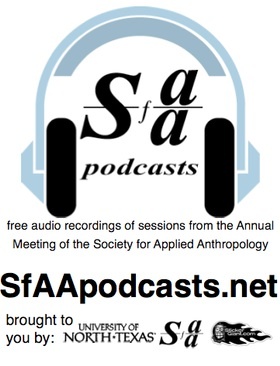 Now, Jen Cardew and her team published a large number of new recordings from the 2009 conference of the Society of Applied Anthropology. The Engaged University: What Does it Mean for Applied Anthropology? …Nolan’s implications are sadly misleading, but his disgusting Heston-esque quote (who would only have his rifle taken away from him “from my cold dead hands"), seems poorly fitting, esp. in the context of a panel on “Lessons For and From Military Anthropology". Thanks for your comment, Ben. I’ve just started listening, it seems it was a quite biased panel? Laura McNamara, David Price, Maren Tomforde (German Armed Forces & Command Coll-Hamburg) and many others. I havent found the time to listen to all of the lectures yet, but the diversity of lectures and speakers seems more promising than the “Different Fields, common Challenge"-workshop.